Remember the last scene of “All the President’s Men?” If you don’t, you can watch it above. Pretty powerful. On a television on a desk in the newsroom of The Washington Post, Richard Nixon is seen triumphant, being inaugurated for the second time as president. 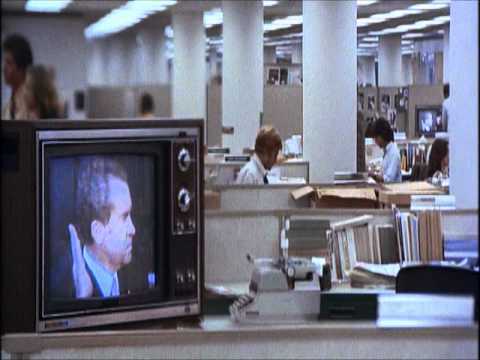 In the background, across the newsroom, Bob Woodward and Carl Bernstein (OK — Robert Redford and Dustin Hoffman, really) are not watching the event, because they’re too busy pounding out one of the stories that will bring Nixon down. We experienced a moment like that tonight. In a prelude to the inauguration of Donald Trump next week, President Barack Obama was delivering a particularly graceful valedictory address — our last worthy, fit president reminding us of the values that America is supposed to be about. The feeling of the passing of American greatness was palpable. We had a good run there, for 44 presidents. Or 43, if you leave out James Buchanan. Wow. I mean, just… wow. This is early. The picture is incomplete. There’s always the chance that, as Trump claims, this is “FAKE NEWS – A TOTAL POLITICAL WITCH HUNT!” After all, there’s a lot of that going around lately. But I have never, ever heard of allegations like this, however flimsy, being made about anyone about to become president of the United States. That alone makes this unprecedented. Who knows at this point what’s true? For their part, though, our top intelligence chiefs found it worthy of passing on to the current and future presidents last week. Must give us pause. But speaking of misspellings, The Guardian mentioned “Senator Lyndsey Graham” in the same story. This entry was posted in Barack Obama, Donald Trump, History, Inauguration, Intelligence, Irony, John McCain, The Nation, The World on January 10, 2017 by Brad Warthen. Don’t worry. Your conservative readers will excuse this and everything else that Trump and his aides have ever done or ever will do. That’s obvious by now. The good news is that Trump’s favorability rating right now is 37% nationally. So at least outside of South Carolina people are catching on to him. Speaking of great, grandchild number 6 came into the world this morning @ 8:33 am. Colton wanted to help celebrate Bryan’s birthday. Mother and baby (7lb 9.5oz) doing well. Nice! January 11 is a pretty fine day to have a birthday. In addition to me and Colton: Kathyn Fenner and Alexander Hamilton were also all born on January 11. I saw that, and I hope y’all have a happy! Who needs Russians when you’ve got John McCain. Yeah, we knew McCain was the source last night. Note the headline in the front page of The Guardian that I included in the original post. It’s very weird that The Daily Mail says “McCain admits…,” as though he’s been caught doing something. That’s been reported quite matter-of-factly since the story broke yesterday. And as I said, I can’t imagine what else anyone would have wanted him to do. If it had been about Hillary, the old man would have just written it off as spam. McCain needs to retire while he still has some respect. I lose a little more each day that he stands next to Lindsey Graham mugging for camera time. For once in as long as I can remember, the person at the podium had control of the room, not the screaming liberal reporters. He told screaming CNN reporter, “No, I’m not gonna take your question. You are fake news.” I expect that there won’t be reporters scrambling to get on Air Force One from here on out. The next 4/8 years are going to be great! I may actually start watching presidential press conferences now rather than start flipping channels. Every Presidential press conference, every press conference by a candidate for whatever office, anytime you have a speaker and a room filled full of reporters. Did you not see the video? Especially the point where he starts to take questions? Nope. Sorry. I’ve been right there too many times. I never heard screaming. I’ve heard people talking over each other and trying to be heard, to get their questions in, trying to get the subject of the exercise to turn to them. But that’s called competition. It’s called caring about your work. It’s what people do when this is the ONLY CHANCE THEY HAVE to get the answers, to job done. And it’s more intense with people who haven’t had such an opportunity in six months or so, and who are always on deadline. I compare it to a friend who was a bartender at a college bar, he was famous for saying, “You just lost your turn” to idiots who would “scream/yell/raise their voice” over everyone else trying to cut into the line. Though Obama’s farewell address I was secretly hoping for a “I’ve met with grieving mothers of veterans. I’ve seen teachers turn children into citizens. I’ve seen this nation put a computer in every pocket and give hope to the dispossessed. I’ve shaken hands with extra-terrestrial life –something the President-elect will find out about in memos 8 months from now [winks to audiences]. I’ve seen a country that stopped pandemics in their tracks. I’ve seen a people who face and conquer adversity.”. It would be worth it just for Trump’s inevitable 3AM tweet that he has met with alien life forms many, many times and is an expert in inter-galactic negotiations. Joe Biden. Twenty years ago I would have totally dismissed him. Today is a different day. Oh, I’ve always liked Joe. But what are you saying about him (I’m not sure what you were responding to)? Biden gave an interview today. Polar opposite of the situation – the demeanor displayed – yesterday. He is the guy we are going to wish we had as President. Also, it is striking the different paths he and his long-time fellow Senator Mitch McConnell have taken. Biden has grown and matured; McConnell has descended into something very different. 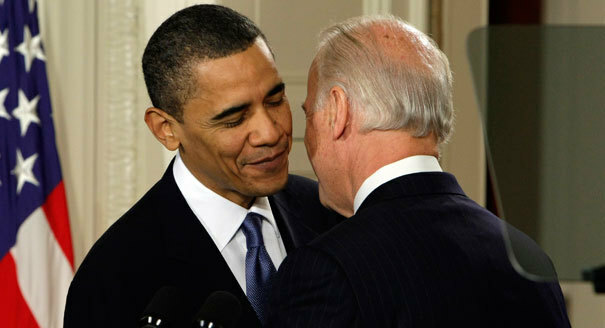 Vice President Joe Biden was awarded the Presidential Medal of Freedom by President Obama as part of a special send-off for him. Biden got the Presidential Medal of Freedom? The highest civilian award? For….what exactly? Perfect attendance? I guess it’s just the “everyone gets a participation trophy” time now that school’s almost out for the Obama Administration. Maybe someone can drop some knowledge on me about Joe Biden’s achievements over the last eight years other than having a heartbeat. He got it for being full of Joe-ness, which means he’s a heckuva guy. And, really, when it comes down to it, don’t we ALL deserve a Medal of Freedom? None of us is better than any other. We’re all equals. Joe was just a lucky guy. Why should he get a medal? He didn’t earn that medal, other people earned it for him. That Oprah quote must be a reference to a meme that everyone but me gets. All I know about Oprah is that she’s a huge cultural phenomenon, and has something of a media empire, including a magazine. And that she popularizes certain books. See what I did there? I answered a meme with a meme. I think in calculus, that’s the second derivative. Obama has handed out 123 Medals of Freedom over a 96 month period… the math comes out to one every 3.5 weeks. More than any other president. People like Bob Dylan, Oprah, Michael Jordan, Meryl Streep, Barbara Streisand, Gloria Estephan, Bruce Springsteen, and Ellen Degeneres. So basically if you were a celebrity and visited the White House Obama would hand you one. And from the same Wikipedia article, President Ronald Reagan gave out 102 over the same time period, which comes out to one every 3.76 weeks. If you feel that a high number of awards given dilutes said award, then the award was diluted much earlier than President Obama’s administration. Depends, go back and look at the lists of who Reagan gave the award to and who Obama gave the award to. Regan gave the majority of his to non-entertainment individuals. Far fewer entertainers on the Reagan list, unless you don’t think Jimmy Stewart deserves it as much as Ellen Degeneres. It makes sense to call that the nation’s “highest civilian award.” Because obviously, things like the Medal of Honor and the Navy Cross are higher honors. Or it at least adding “civilian” ducks the problem of anyone thinking you’re saying the civilian award is higher than the military ones. 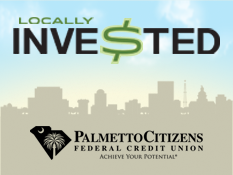 But I’ve always wondered why news accounts call the Order of the Palmetto the state’s “highest civilian award.” Do we have a non-civilian award that competes with it? Not that I know of. So it’s a completely superfluous qualifier. On 15 May 1967, Major Kettles, upon learning that an airborne infantry unit had suffered casualties during an intense firefight with the enemy, immediately volunteered to lead a flight of six UH-1D helicopters to carry reinforcements to the embattled force and to evacuate wounded personnel. Enemy small arms, automatic weapons, and mortar fire raked the landing zone, inflicting heavy damage to the helicopters; however, Major Kettles refused to depart until all helicopters were loaded to capacity. He then returned to the battlefield, with full knowledge of the intense enemy fire awaiting his arrival, to bring more reinforcements, landing in the midst of enemy mortar and automatic weapons fire that seriously wounded his gunner and severely damaged his aircraft. Upon departing, Major Kettles was advised by another helicopter crew that he had fuel streaming out of his aircraft. Despite the risk posed by the leaking fuel, he nursed the damaged aircraft back to base. Later that day, the Infantry Battalion Commander requested immediate, emergency extraction of the remaining 40 troops, including four members of Major Kettles’ unit who were stranded when their helicopter was destroyed by enemy fire. With only one flyable UH-1 helicopter remaining, Major Kettles volunteered to return to the deadly landing zone for a third time, leading a flight of six evacuation helicopters, five of which were from the 161st Aviation Company. During the extraction, Major Kettles was informed by the last helicopter that all personnel were onboard, and departed the landing zone accordingly. Army gunships supporting the evacuation also departed the area. Once airborne, Major Kettles was advised that eight troops had been unable to reach the evacuation helicopters due to the intense enemy fire. With complete disregard for his own safety, Major Kettles passed the lead to another helicopter and returned to the landing zone to rescue the remaining troops. Without gunship, artillery, or tactical aircraft support, the enemy concentrated all firepower on his lone aircraft, which was immediately damaged by a mortar round that shattered both front windshields and the chin bubble and was further raked by small arms and machine gun fire. Despite the intense enemy fire, Major Kettles maintained control of the aircraft and situation, allowing time for the remaining eight soldiers to board the aircraft. In spite of the severe damage to his helicopter, Major Kettles once more skillfully guided his heavily damaged aircraft to safety. Without his courageous actions and superior flying skills, the last group of soldiers and his crew would never have made it off the battlefield. Major Kettles’ selfless acts of repeated valor and determination are in keeping with the highest traditions of military service and reflect great credit upon himself and the United States Army. Yeah, but could Major Kettles do THIS? this is comparing apples to oranges. The MOH is given for a specific incident or short-term series of incidents to commemorate bravery in a life-threatening situation. The MOF is usually meant to commemorate a person’s entire career in peaceful pursuits, although individuals who are in dangerous careers (i.e., astronauts) have been awarded the MOF (Obama awarded it to John Glenn and Sally Ride, for example, while President Nixon honored the Apollo 11 crew and the Apollo 13 crew and some of its mission team members). Oh it’s definitely apples and oranges. That’s exactly the point I was making. The highest military honor is a real thing. The highest civilian honor has become a joke, because there’s no real standard. The President can give it to anyone he feels like…even his VP. The Order of the Palmetto is nothing more than a Who’s Who of SC. I know two people who received the award, neither did anything extra-ordinary in my book but they had a lot of political ties. I’ve never been in much danger of getting one, given my, um, complicated relationships with every governor of South Carolina since I came back to my home state in 1987. You can get an auctioneer’s license for a few hundred bucks and a week or two of schooling, and you get the Colonel honorific. I had my license for a few years, but my bride steadfastly refused to refer to me as her husband, the colonel. Maybe the reason South Carolina still has special purpose districts is because once you have been nominated by the county Legislative Delegation and appointed by the Governor, you gain the title “The Honorable.” A relic of the Legislative Delegation running the county and using special purpose districts are Foster Care Review Boards; my certificate of appointment (signed by SOS Hammond and Governor Haley) reads THE HONORABLE ROBERT K. AMUNDSON. Like Norm’s wife, my wife refuses to use my rightfully earned title. Just because our wives refuse does not give you commoners the right to refuse to use our titles! When I was president of the Rosewood Community Council, she called me the King of Rosewood, and of course, she was Queen. We have yet to relinquish those titles, even though I am no longer president. So my wife is already a Queen! Have a good long weekend, friends in a box.